Florida’s first season with Dan Mullen at the helm will end in the venue in which they hope to make a December destination in future years. 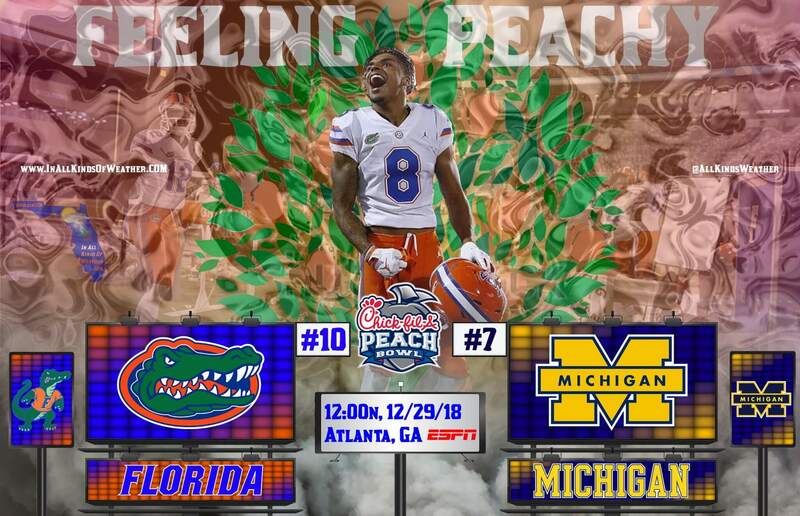 The Gators have been paired with the Wolverines of Michigan in Atlanta’s Chick-Fil-A Peach Bowl. It’s Florida’s first ever trip to a New Year’s Six Bowl since its inception in 2014, and the school’s 13th ever appearance in one of the so-called “major bowls,” which includes the Sugar, Rose, Fiesta and Orange Bowls through 2013 as well as the New Year’s Six. Florida has a horrendous history against Michigan- they’ve lost all four meetings, and two of them by lopsided margins- but this is the highest ranked Florida team to ever face Michigan, and this is by far the highest stakes the two schools have ever squared off for. The winner is all but guaranteed a top ten finish, which for Florida would be a tremendous step forward after going 4-7 last year. Of the two potential bowl game, opponents this was the better matchup for the Gators in regards to a last-call resume booster. In terms of helping Florida hop up the farthest in the final rankings, Michigan presents a far better opportunity than UCF. As for Michigan, the Wolverines will likely be looking for some redemption after getting shelled 62-39 by Ohio State to end their playoff hopes last weekend. But for Michigan, the Peach Bowl could also have the same effect that it had on Auburn last year. Namely, abject apathy. So in that respect, who knows? Above all else, though, this is the kind of prime showdown that Florida should be playing in to cap its season on an annual basis. Being one of a pair of top ten teams in a New Year’s Six Bowl isn’t the ultimate goal, but it’s undeniably a mammoth step in the right direction. And in what we all agreed as a fan base was a rebuilding year, it’s more than we could have ever dreamed.